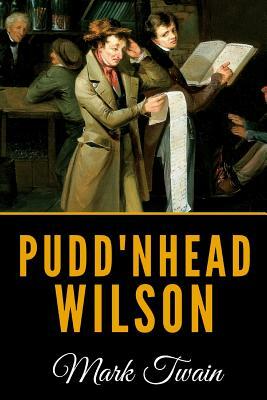 Pudd'nhead Wilson had a trifle of money when he arrived, and he bought a small house on the extreme western verge of the town. Between it and Judge Driscoll's house there was only a grassy yard, with a paling fence dividing the properties in the middle. He hired a small office down in the town. But his deadly remark had ruined his chance-at least in the law. No clients came. He took down his sign, after a while, and put it up on his own house with the law features knocked out of it. It offered his services now in the humble capacities ofland-surveyor and expert accountant. Now and then he got a job of surveying to do, and now and then a merchant got him to straighten out his books. With Scotch patience and pluck he resolved to live down his reputation and work his way into the legal field yet. Poor fellow, he could not foresee that it was going to take him such a weary long time to do it. - Taken from "Pudd'nhead Wilson" written by Mark Twain.